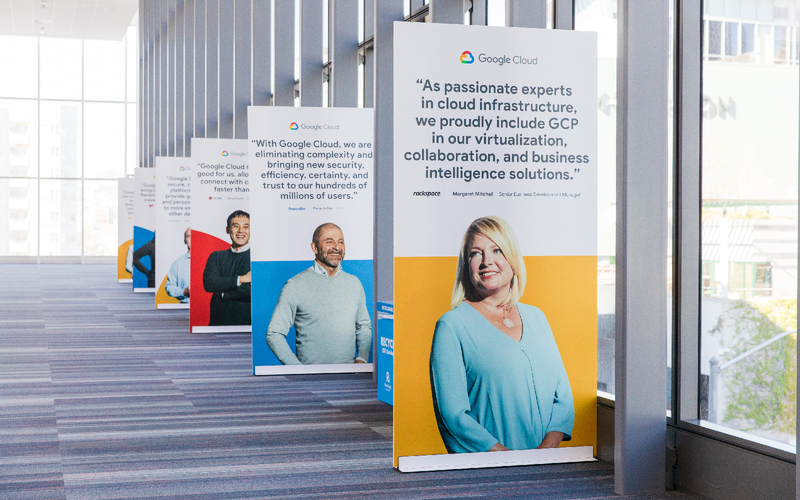 Once a year the brightest minds and most innovative companies come together to share how we’re changing the world with cloud technology. 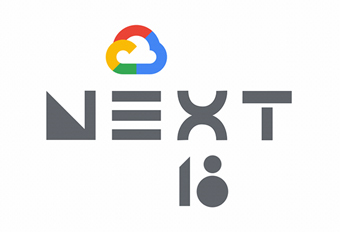 Building on our work for the previous year’s brand expression, Next ’19 took the glyph system to a whole new level, bringing them to life by telling visually intriguing stories about Google Cloud, its products and partners. 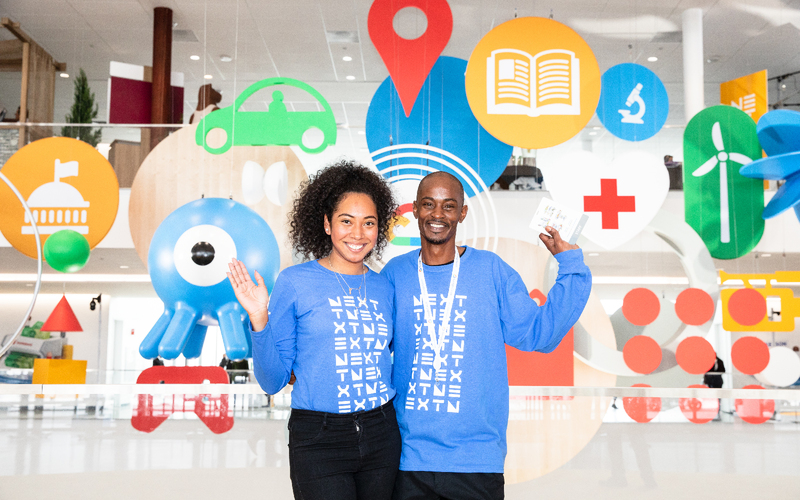 They artfully communicate the spirit of Next and add some surprise and delight to what some might think of as a very “corporate” conference. 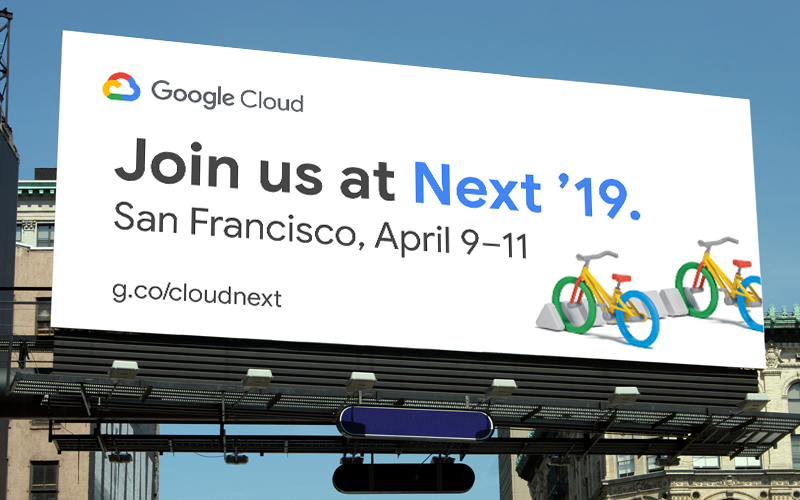 But Next is a cloud event like no other. 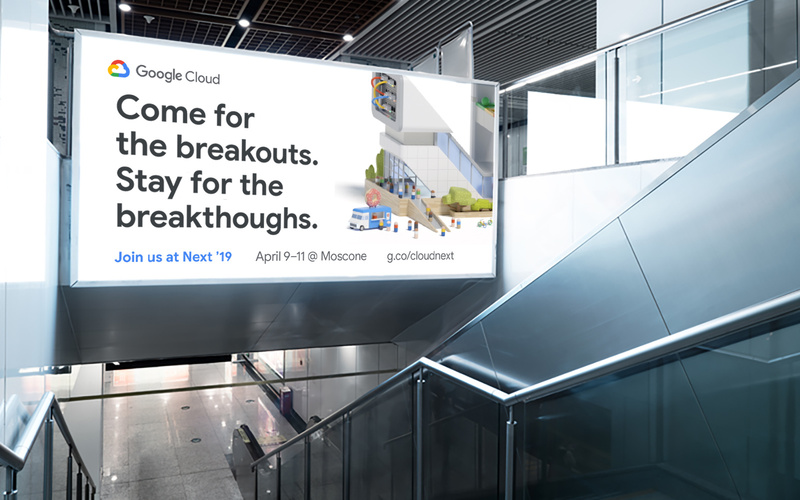 Before the event we flooded San Francisco’s airport, highways, buildings and street-level billboards with fun messaging and teaser visuals. 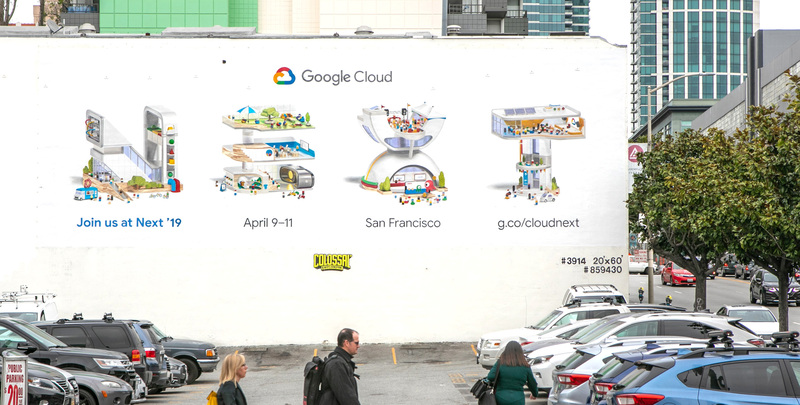 Seeing the macro details of our 3D artwork gave viewers a hint at the things happening around Next. 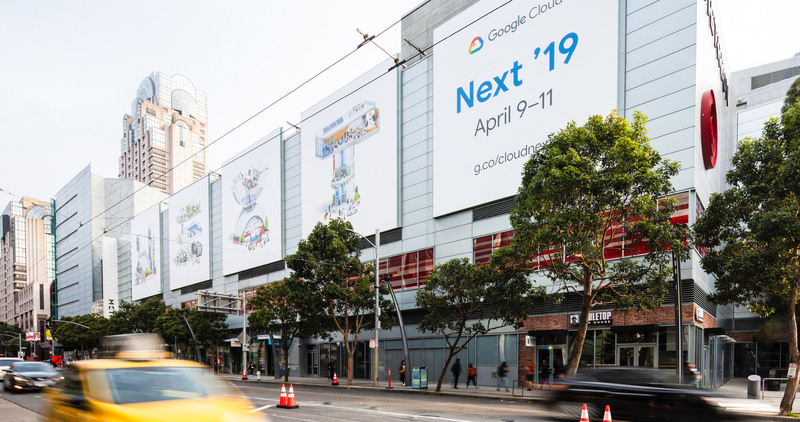 A few high-traffic placements revealed the full hero set, spelling out NEXT and showing the festival-like experience that Google Cloud is offering. 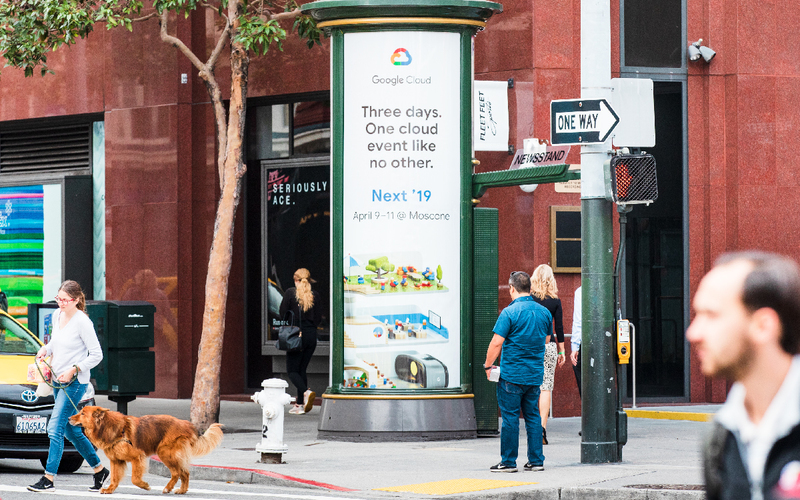 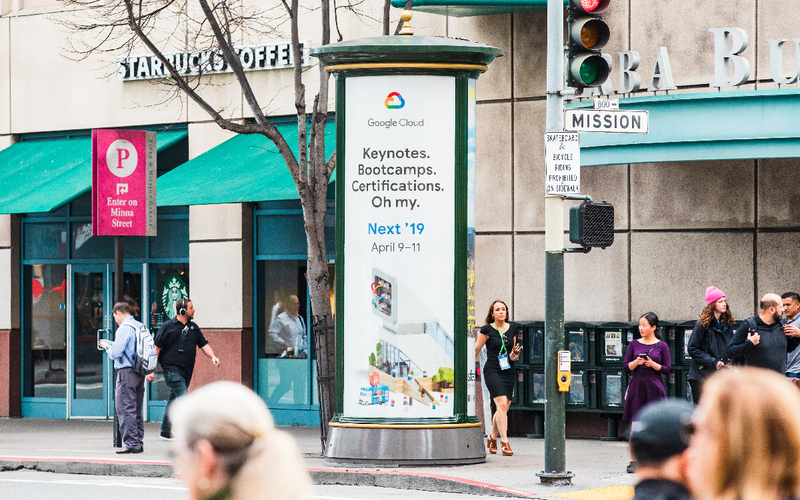 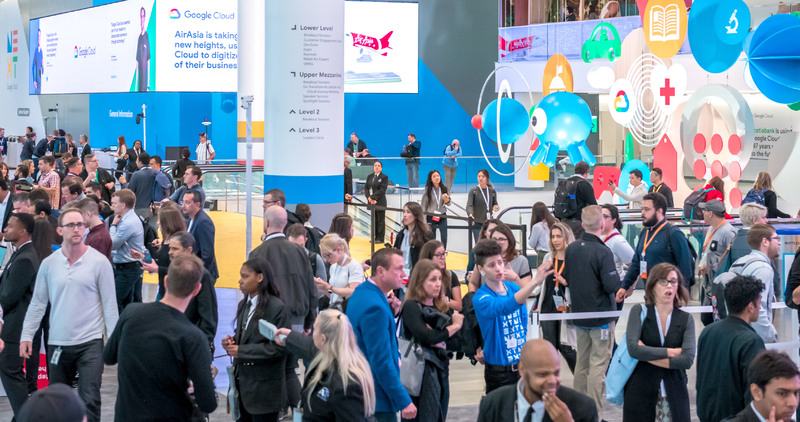 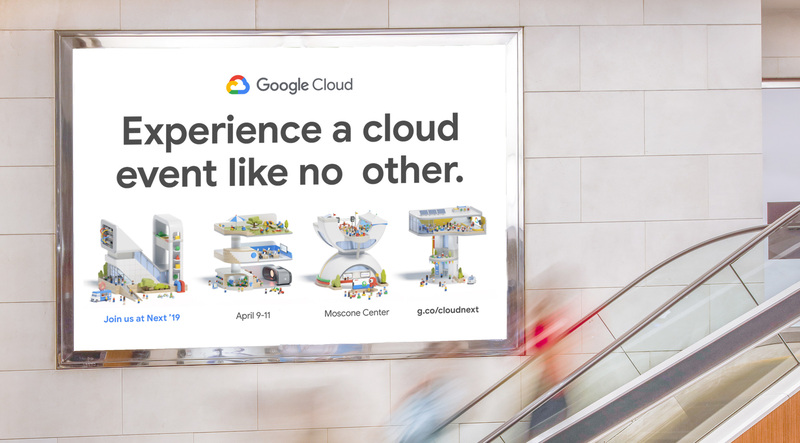 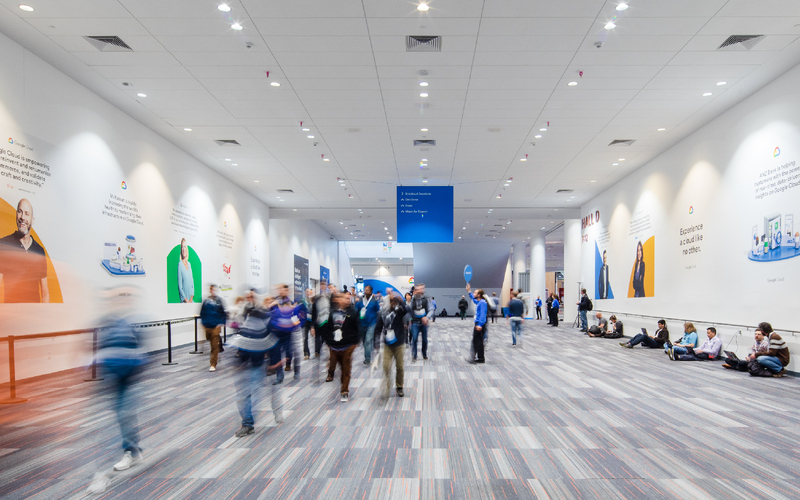 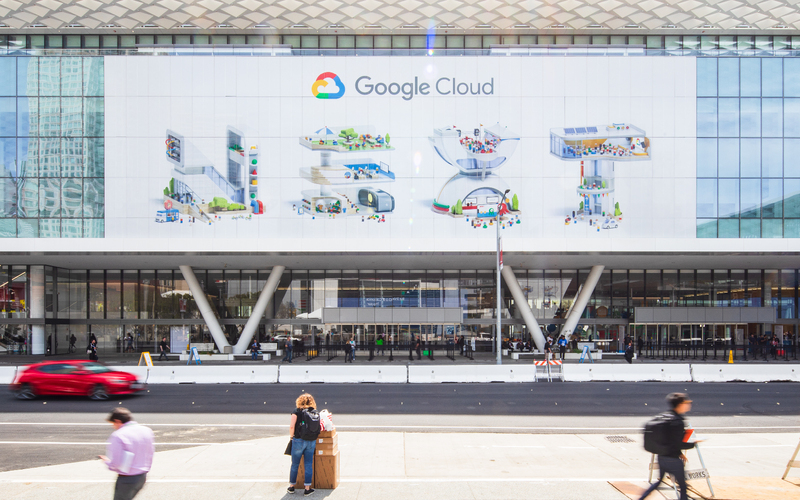 Once attendees arrived, the entire three day experience showcased an exciting visual system–around every corner attendees got to see and learn about the diverse industries utilizing Google Cloud, game-changing products, and lots and lots of customer stories.